2018. B. MANILOW, B. SUSSMAN, J. FELDMAN. 2014. HEYMAN, EDWARD / LEVANT, OSCAR. 2014. Leigh, Carolyn / Coleman, Cy. 2014. GERSHWIN, IRA / ARLEN, HAROLD. 2014. MORTY PALITZ, ALEC WILDER, BILL ENGVICK. 2014. DE PAUL, GENE / RAYE, DON. 2014. HEUSEN-VAN, JIMMY / BURKE, JOHNNY. 2014. BETTY COMDEN, ADOLPH GREEN, LEONARD BERNSTEIN. 2014. JULE STYNE, SAMMY CAHN. 2014. KAHN, GUS/ANDRE, FABIAN/SCHWANDT, WILBUR. 2014. Wolfert, David / Linzer, Sandy. 2014. Palmer, David / King, Carole. 2014. MERCER, JOHNNY / MANCINI, HENRY. 2014. STOTHART, HERBERT / KALMAR, BERT / RUBY, HARRY. 2012. MANILOW, BARRY / PANZER, MARTIN. 2012. Manilow, Barry / Panzer, Marty. 2011. CHRIS ARNOLD, DAVID MARTIN, GEOFF MORROW. 2011. JACK FELDMAN, BARRY MANILOW, BRUCE SUSSMAN. 2011. ANDERSON, ADRIENNE / MANILOW, BARRY. 2011. ROMAN, ARNIE/GODWIN, ANNE E /. 2011. COMBS, SEAN/SHROPSHIRE, TAURIAN ADONIS/WINANS, MARIO MENDELL / BEYINCE, ANGELA/KNOWLES, BEYONCE/SMITH, VARICK. 2011. MANILOW, BARRY / SUSSMAN, BRUCE H. / FELDMAN, JACK A..
2011. MARX, RICHARD / MANILOW, BARRY. 2011. Manilow, Barry / Anderson, Enoch. 2010. DUBIN, AL / WARREN, HARRY. 2010. SHAPIRO, TED/CAMPBELL, JIMMY/CONNELLY, REG /. 2010. LAI, FRANCIS / SIGMAN, CARL. 2010. James Van Heusen;Johnny Burke. 2010. GERSHWIN, IRA / GERSHWIN, GEORGE. 2010. Bacharach, Burt F / David, Hal. 2010. James Monaco;Joseph Mc Carthy. 2010. Jimmy Mc Hugh;Dorothy Fields. 2009. GERRARD, MATTHEW / DWIGHT, JOHN SULLIVAN / ADAM, ADOLPHE CHARLES. 2009. J. PIERPONT, S. WHITMAN. 2009. GLEN MACDONOUGH, VICTOR HERBERT, PAUL WESTON. 2009. GEORGE WYLE, EDDIE POLA. 2009. LEWIS, MICHELLE / COLVIN, SHAWN / PETTY, DAN / PETTY, DOUGLAS G..
2009. Martin, Hugh / Blane, Ralph. 2009. MANILOW, BARRY / PANZER, MARTIN. 2008. MASSER, MICHAEL / BETTIS, JOHN / MANILOW, BARRY. 2008. MANILOW, BARRY / SUSSMAN, BRUCE H. / FELDMAN, JACK A..
2008. Hunter, Ivy Jo / Stevenson, William / Moy, Sylvia. 2008. ANDERSON, ADRIENNE / MANILOW, BARRY. 2008. PARISH, MITCHELL / CARMICHAEL, HOAGY. 2008. TAYLOR, ANDY / JONES, STEVE. 2008. CAHN, SAMMY / STORDAHL, AXEL / WESTON, PAUL. 2008. FOSTER, DAVID / KIM, BO KYOUNG N / KIM, JIN HWAN N / LUBBOCK, JEREMY N / MARX, RICHARD N. N.
2008. WILLIAMS, PHARRELL L/HAYNES, CORNELL/HUGO, CHAD /. 2008. CREWE, BOB / GAUDIO, BOB. 2008. FOSTER, DAVID / CETERA, PETER N.
2008. GIBB, BARRY ALAN/GIBB, MAURICE ERNEST/GIBB, ROBIN HUGH. 2008. MICHAEL, GEORGE / RIDGELEY, ANDREW. 2008. SAGER, CAROLE BAYER / ALLEN, PETER WOOLNOUGH / CROSS, CHRISTOPHER / BACHARACH, BURT. 2008. CAIN, JONATHAN / PERRY, STEVE. 2008. STOCK, MIKE / AITKEN, MATT / WATERMAN, PETER. 2008. MARKOWITZ, DONALD/DE NICOLA, JOHN/PREVITE, FRANK. 2007. VON TILZER, ALBERT / FLEESON, NEVILLE. 2007. MANILOW, BARRY / SUSSMAN, BRUCE H..
2007. Madara, John / White, David Ernest / Renzetti, Joe. 2007. MANILOW, BARRY / PANZER, MARTIN. 2007. STEVENS, DERRICK/ZIMMERMAN, FRANK/WATSON, JEFFREY. 2007. MANILOW, BARRY / SUSSMAN, BRUCE H. / COHAN, GEORGE M..
2007. HAMLISCH, MARVIN / BAYER-SAGER, CAROLE. 2007. Leigh, Carolyn / Coleman, Cy. 2007. SINFIELD, PETER JOHN / HILL, ANDY. 2007. MANILOW, BARRY / ANDERSON, ENOCH. 2007. Wilson, Andre / Anderson, Wayman. 2007. MANILOW, BARRY / SUSSMAN, BRUCE H. / FELDMAN, JACK A..
2007. ANDERSON, ADRIENNE / MANILOW, BARRY. 2007. Manilow, Barry / Sussman, Bruce Howard. 2007. TINTURIN, PETER / LAWRENCE, JACK. 2007. HOOK, PETER / GILBERT, GILLIAN LESLEY / MORRIS, STEPHEN PAUL DAVID / SUMNER, BERNARD (GB 2). 2007. ELMAN, ZIGGY / MERCER, JOHNNY. 2007. T. SNOW, A. MCBROOM. 2007. Lou Handman; Roy Turk. 2007. 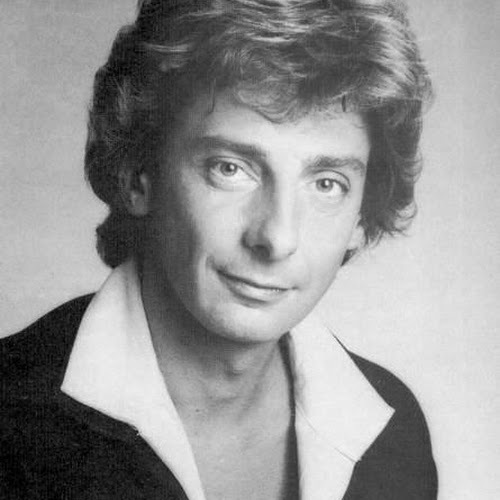 BARRY MANILOW, MARTIN PANZER. 2007. BOUBLIL, ALAIN / SCHONBERG, CLAUDE-MICHEL / KRETZMER, HERBERT. 2007. BOHANNON, HAMILTON FREDERICK /. 2007. VANDUEREN, FILIP LIEVEN KAREL/PENXTEN, REGI/DE SMET, JESSY /. 2007. ELLINGTON, DUKE / RUSSELL, BOB. 2007. Brown, Lew / Tobias, Charles / Stept, Sam H..
2007. 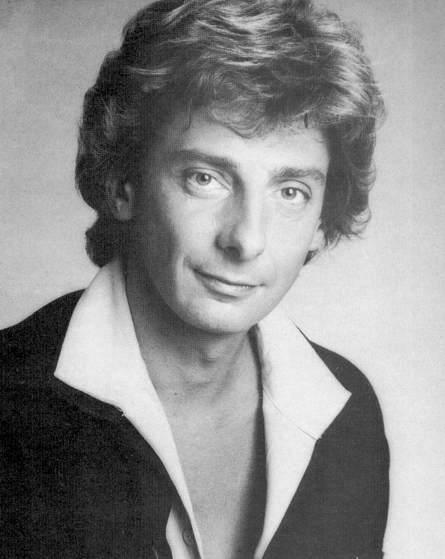 Manilow Barry; Anderson Adrienne. 2007. MENENDEZ, NILO / PEREZ UTRERA FERNANDEZ, ADOLFO / RIVERA, E. / WOODS, E..
2007. ARTIE BUTLER, NORMAN MARTIN. 2007. GERSHWIN, IRA / DUKE, VERNON. 2007. WHITING, RICHARD / MERCER, JOHNNY. 2007. PRICE, MICHAEL ALAN / WALSH, DAN. 2007. Manilow, Barry / Panzer, Marty. 2007. LEISER, BRIAN ANDREW / MORGAN, HUGH THOMAS. 2007. LOWE, RUTH / OSSER, GLENN. 2007. Washington, Ned / Bassman, George. 2007. BURWELL, CLIFFORD/PARISH, MITCHELL /.